Use them as room dividers to create separate work spaces or to establish an element of privacy in a shared space. Make them a place for digital files and electronic resources by turning them into a media console. Store unframed prints and framed artwork there for a creative collage of photographs and images. Turn them into storage for plants. 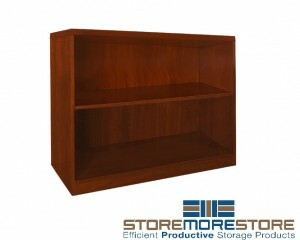 Any one of the five different ways to use bookcases for office storage will prove to be beneficial for your work environment. For example, using bookcases as a media console for storing digital files and electronic resources makes perfect sense, especially since many companies are making the switch to a virtual database. With units featuring shelving that is between two and five stories in height, bookcases have plenty of storage capacity, providing you with the space you need to keep everything closer at hand for easier access. 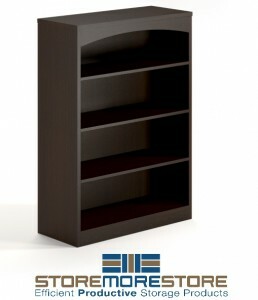 Bookcases for office storage are available online and ship anywhere between 7 to 10 business days, allowing 4 to 5 days for shipping. For more information or for further assistance, call us at 1-855-786-7667.